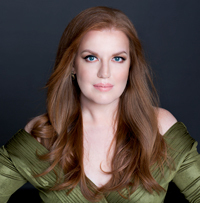 This season, Ms. Cano bows as Carmen with Boston Lyric Opera, as the Priestess in Aida with The Metropolitan Opera, and as Wellgunde in the concert version of Wagner’s Das Rheingold with the New York Philharmonic in one of Alan Gilbert’s closing conducting engagements in his tenure with the orchestra. Other orchestral engagements include Bruckner’s Te Deum with Christopher Warren-Green and the Charlotte Symphony, and Bach’s Cantata No. 34 with the Cleveland Orchestra and vocal ensemble Seraphic Fire, conducted by Franz Welser-Möst. Cano also makes her European debut on a tour of John Adams’s El Niño with appearances in London and Paris with the London Symphony Orchestra conducted by Mr. Adams, as well as The Radio Filharmonisch Orkest with Markus Stenz in Amsterdam, and finally with the Los Angeles Symphony Orchestra under Grant Gershon.